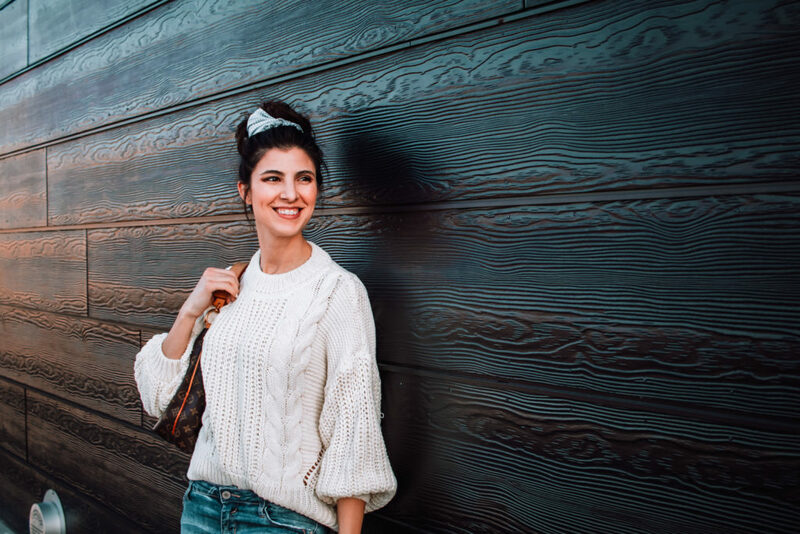 Jane Iredale was originally created as a makeup option for actors & actresses to help improve their skin, & it still offers that amazing result today. I’ve been using (& LOVING!) 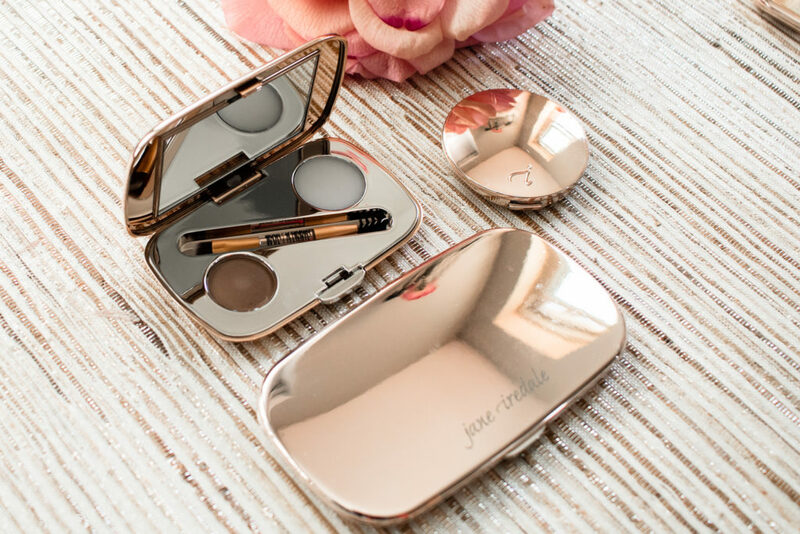 Jane Iredale makeup since high school & I will never not love it! The products are formulated with high quality, thoughtful ingredients that make the products apply & wear beautifully while improving the skin. 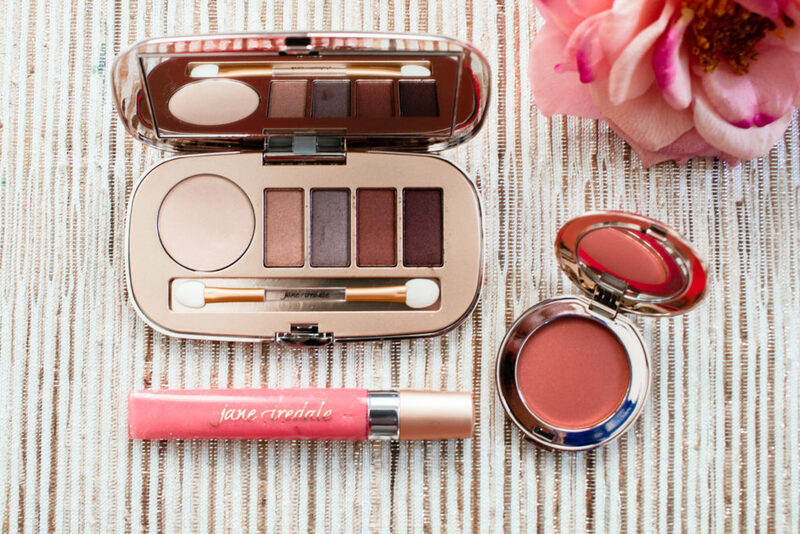 With sleek & gorgeous rose gold packaging, the Spring Makeup Collection does not disappoint. 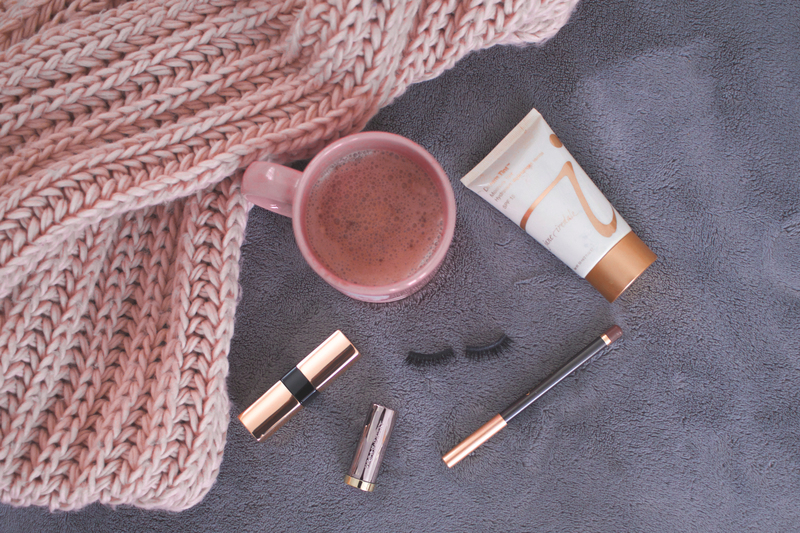 You’ll have everything you need to create everyday, minimal makeup looks, glam date night looks, & everything in between. 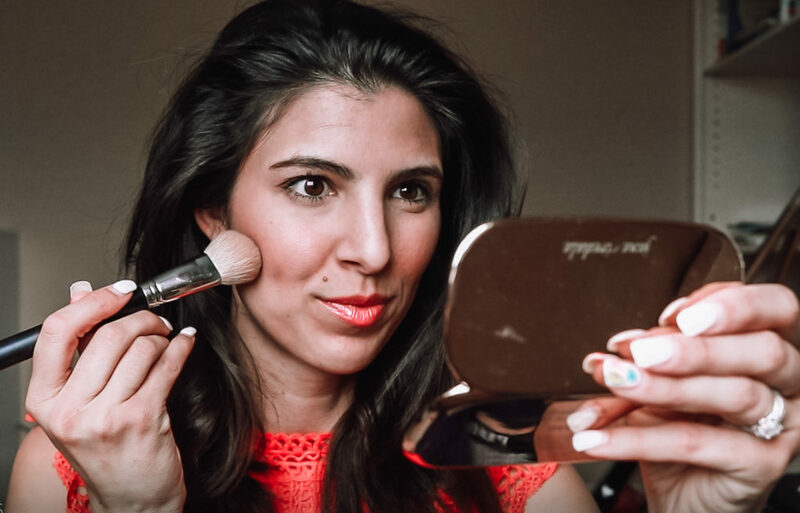 I love a shimmery blush to add some soft glow to the cheeks– the PurePressed Powder Blush is a beautiful option. Formulated with minerals & antioxidants, this blush will soothe & nourish the skin. I like applying mine with a fluffy dome brush– it helps apply the product in a way that looks more diffused & blended. The Eyebrow Kit is a 2-in-1 water-resistant mineral rich powder & nourishing botanical brow wax. To use, apply the wax first to keep brows in place, followed by the powder. Finish off by blending & separating the hairs with the spooly brush. 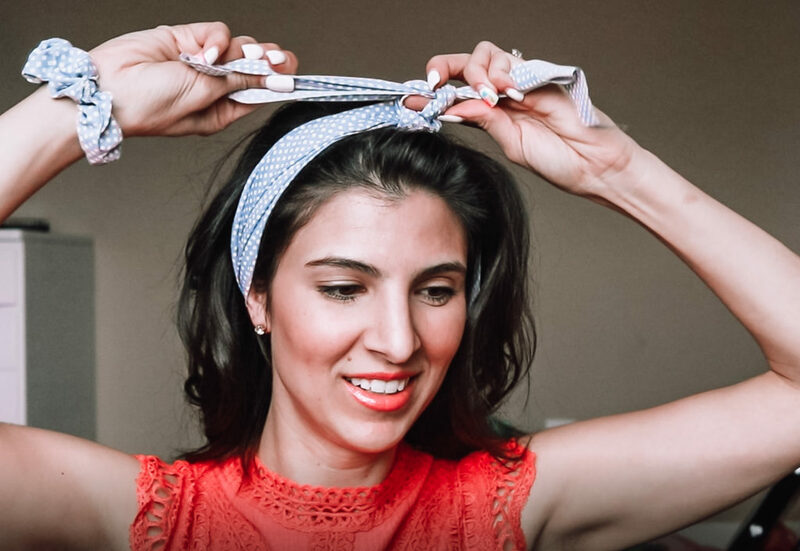 Not only will your brows be beautiful, but they will stay in place all day long. 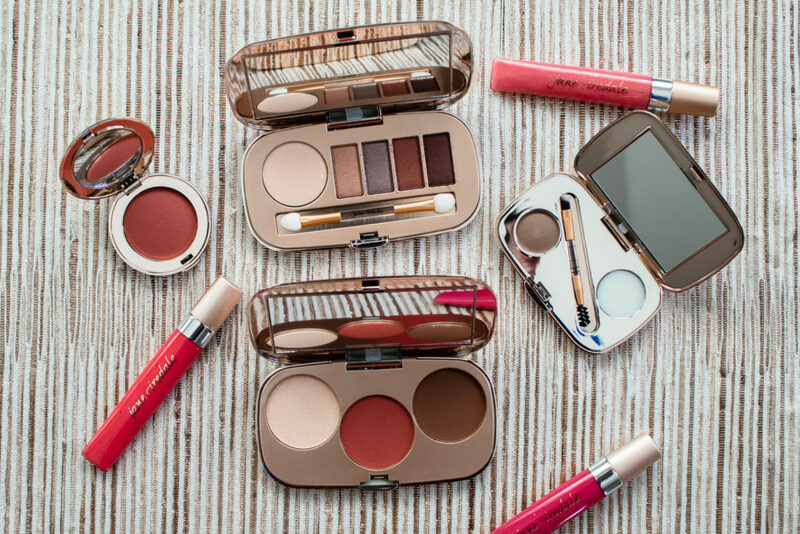 The compact design means it’s great for travel, or you can toss it in your purse for on-the-go. For an amazing contour, try the GreatShape Contour Kit. Adding dimension to the face is one of my favorite things to do, even on minimal makeup days. Use the highlight color to bring out the high points of your face (cheek bones, cupid’s bow on the upper lip, & above the tail ends of the eyebrows). The shimmer with hit the light & add a romantic glow to the face in all the right places. The contour shade (thoughtfully created as a matte powder) will help sculpt cheek bones & the perimeter of the face for a more chiseled, structured look. The blush (also matte) creates a natural flush for a youthful appearance for the perfect spring look. 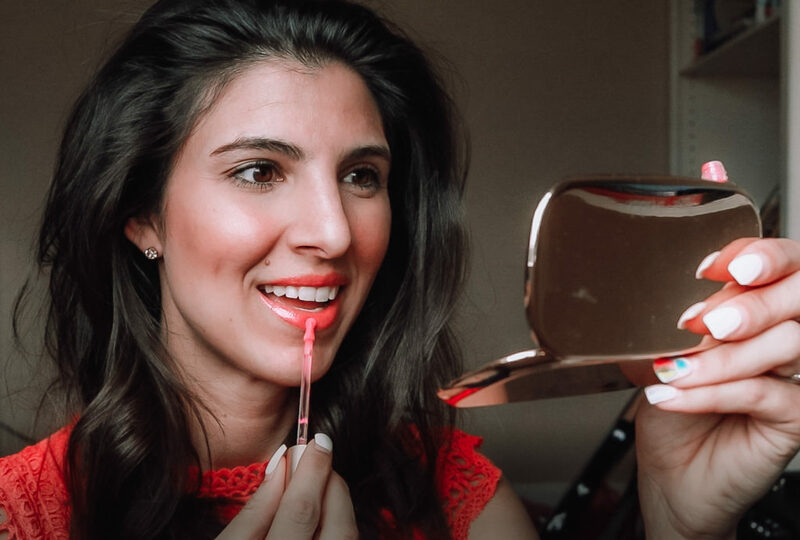 The PureGloss Lip Glosses are my favorite lip glosses I’ve ever used! They are so smooth & creamy on the lips without feeling too sticky like some glosses can. I tend to have dry lips, so I love that these are super hydrating & nourishing. They are super long-lasting & can be worn on their own or over the top of your lipstick for some extra hydration. I love these glosses! 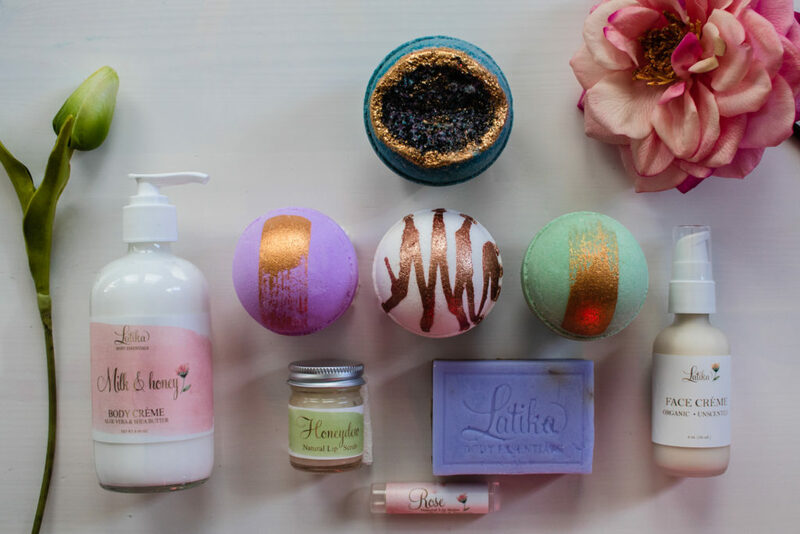 Pamper yourself with these gorgeous bath & beauty products by Latika Soap. 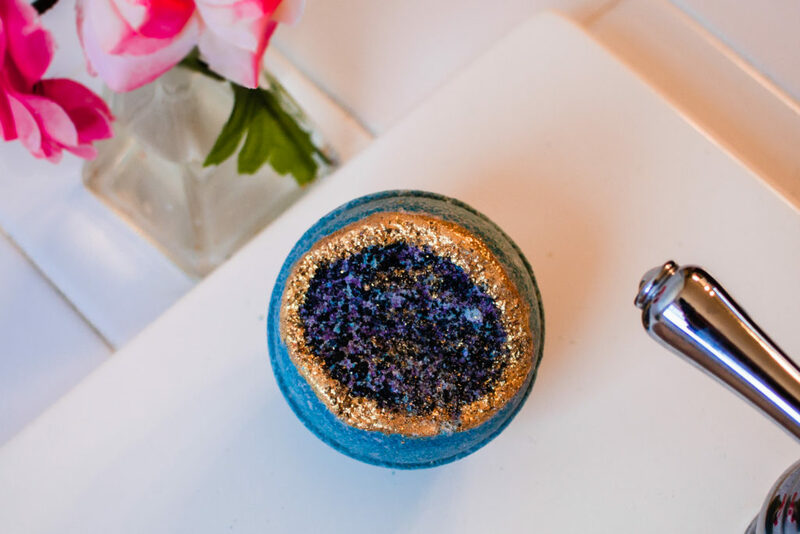 I was blown away at how gorgeous these items were & how amazing they smelled! 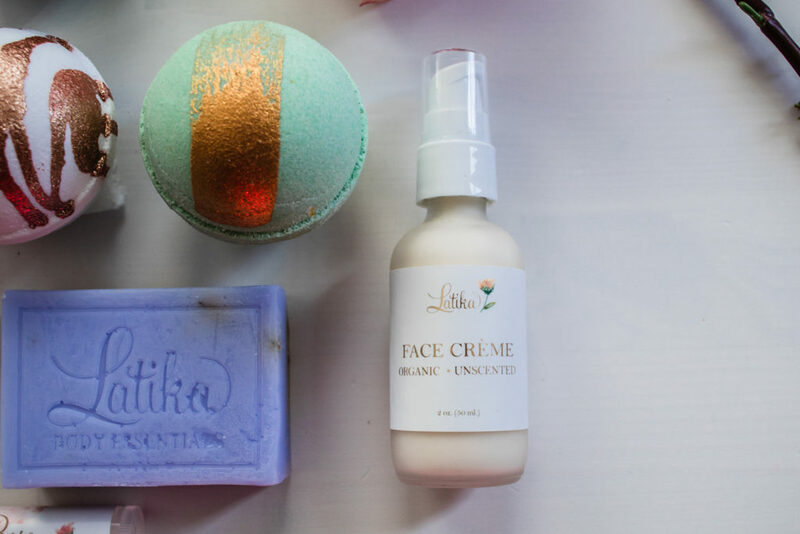 One of my favorite parts about Latika Soap as a brand is their cruelty free promise to not test on animals. 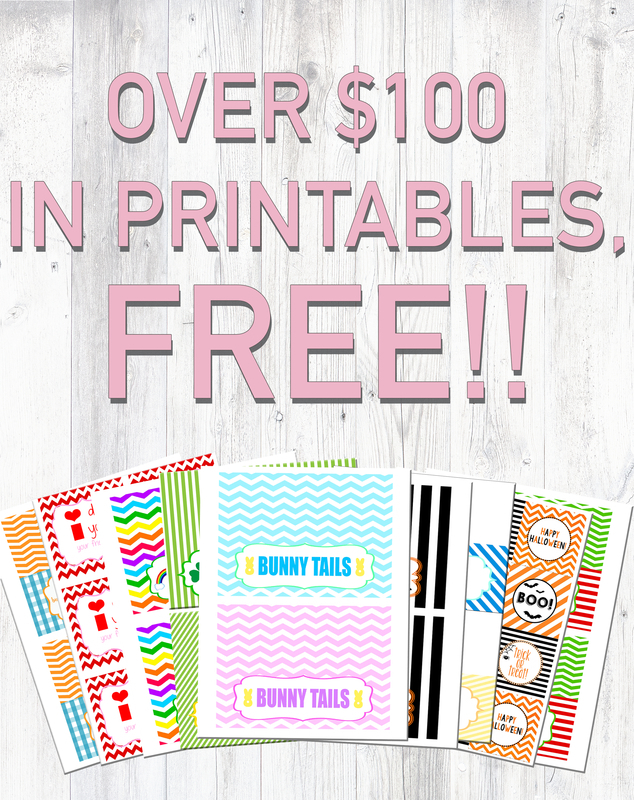 They strive to give high quality & fun products, & they’ve done just that! I have to start with my favorite item– the bath bombs. All the heart eyes for these! They are just so beautiful, you guys! The hand decorated streaks of gold add a touch of elegance & it makes you feel like you’re having a day at a fancy spa. They smell amazing & each one features a different scent. 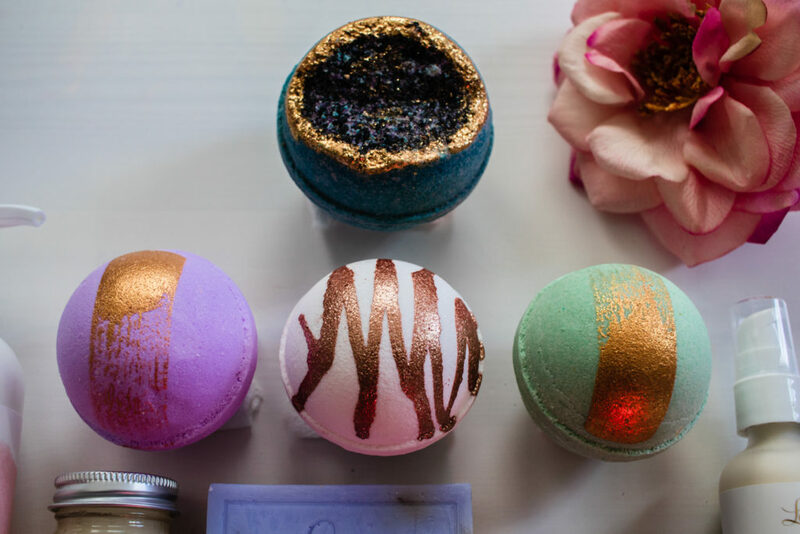 Not only are they hydrating, with ingredients such as coconut oil, shea butter, avocado & sweet almond oils, but they have carefully crafted these bombs so that they do not stick to the tub or leave any color stain behind. 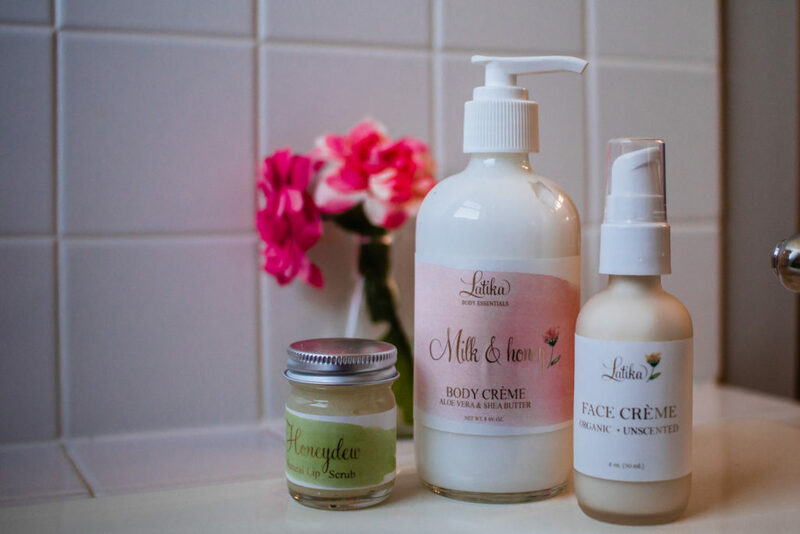 The Milk & Honey Body Crème feels just as luxurious as it sounds. With shea butter & aloe vera, this cream is both hydrating & nourishing to the skin. The fresh, comforting scent, is lovely & the cream itself won’t leave your skin feeling too greasy. The Organic Face Cream is designed to repair, renew & hydrate, all while feeling lightweight on the skin. Unscented & free from harmful chemicals, this cream is perfect for sensitive skin. For healthier, smoother, and softer lips, exfoliate with the Honeydew Sugar Lip Scrub! Handcrafted using natural, edible ingredients, this lip scrub has up to a year’s supply in one jar so you can have soft lips all year long. The Rose Lip Balm will renew your lips after a long winter! This balm contains sweet rose & passionfruit essence, a perfectly delicate & fun scent combination. Formulated with olive oil & beeswax, this balm is uber moisturizing, nourishing, and soothing. For a relaxing bath experience, try the Lavender Soap crafted with lavendar, eucalyptus & clary sage. Lather up & get a gentle exfoliation with the lavendar buds inside the soap. These soaps are hand cut, stamped, and packaged in their facility right in Austin. 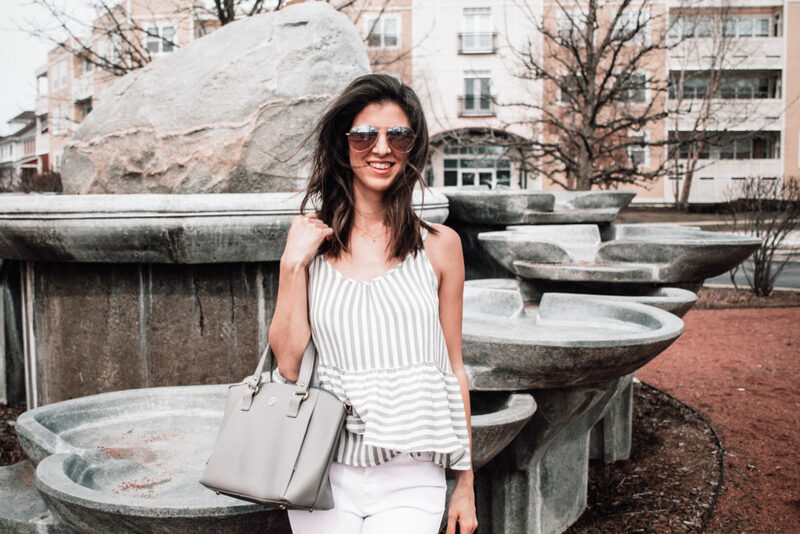 Casually Styled is a brand that offers fun & stylish pieces that are easy & effortless to wear. These garments are perfect for busy moms that want to look put together & polished without having to think too much about their outfit. 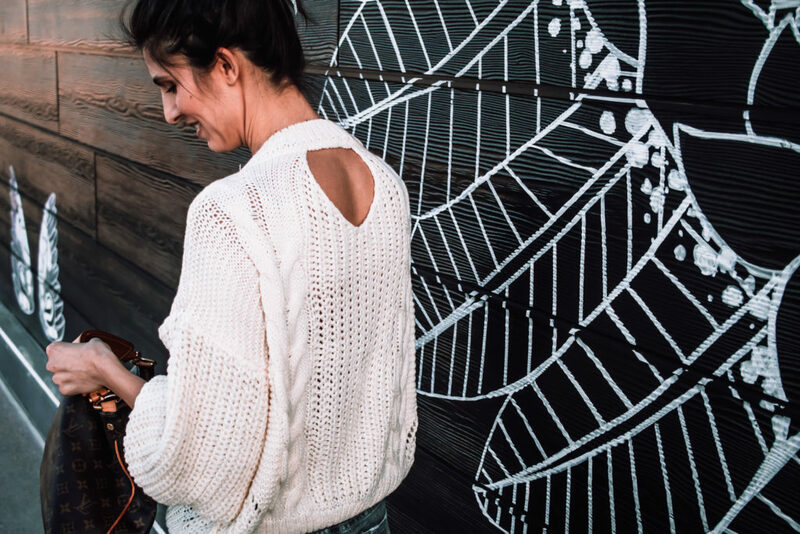 The Chunky Knit Sweater is the perfect transition piece from winter to spring in Chicago. The knit is loose enough that it’s not too heavy duty for this time of year & the cream color gives off that spring vibe. The knit is soft & comfy, making it a great option for when you have to wrangle kiddos! The 3/4, balloon sleeves give it a fun, effortless vibe. 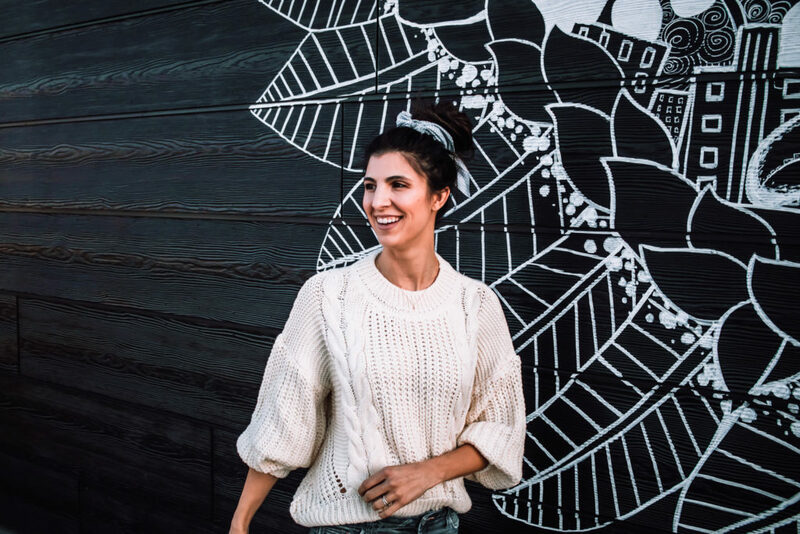 I also love the cutout in the back– just another fun detail that makes this cozy knit even more special. 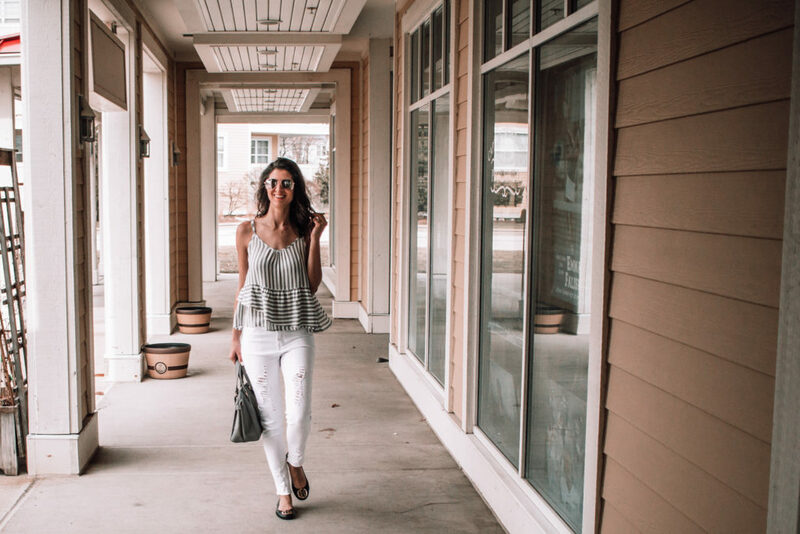 When it gets a little bit warmer here I’ll definitely be pairing this with high waisted shorts & my pink Reef sneakers for an easy spring ensemble! 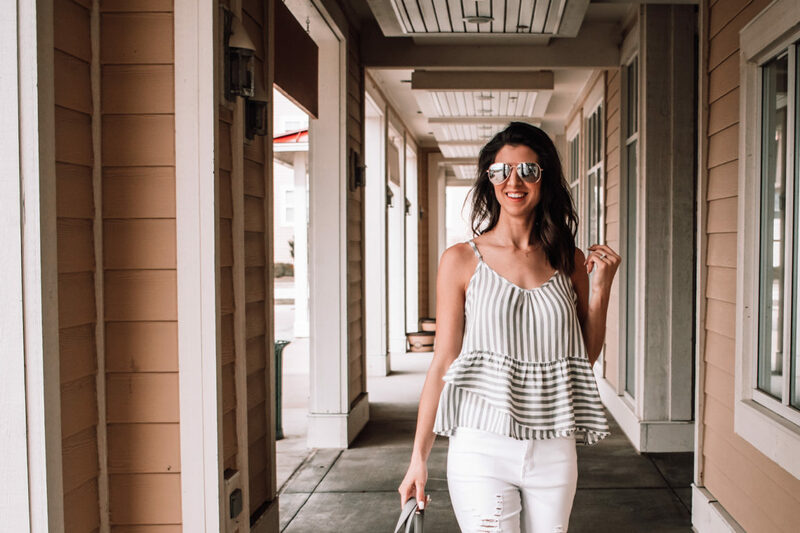 The Peplum Striped Top is already a favorite of mine! The flowy fit offers movement & breathability so it’s perfect for the warmer weather ahead. The fabric is suuuuper soft & it just makes you feel good to wear it! I love that the straps are adjustable so you can get the perfect fit. Throw it on with these White Jean Jeggings & you’re good to go! 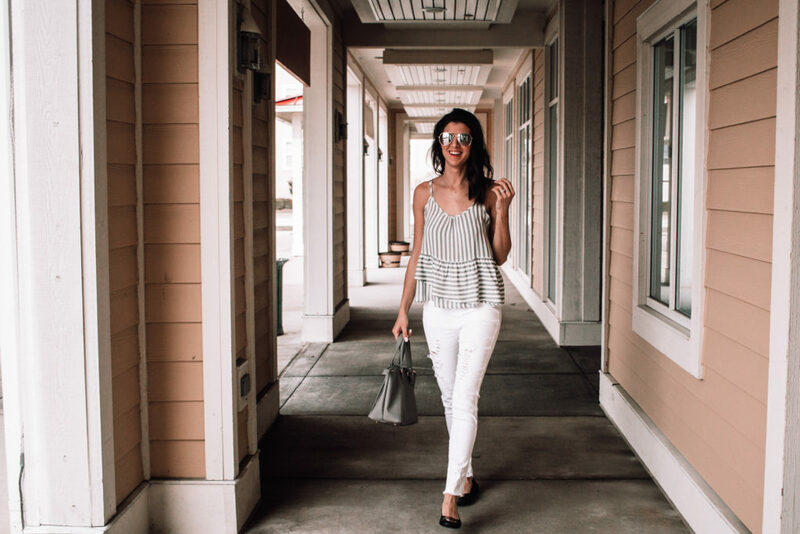 The White Jean Jeggings surprised me in the best way. Comfy, stretchy, & not like “hard” pants (jeans) that feel constrictive, these ones check all the boxes for a mom-on-the-go. They’re nice & opaque (my biggest fear when it comes to white pants!) so you don’t have to worry about anything showing that shouldn’t. The ripped detail & frayed ankles give off a casual, edgy vibe that I love! I plan on pairing these with a cropped band T-shirt & Converse, or a bodysuit tank & heels for date night, but the styling options are really endless with these! 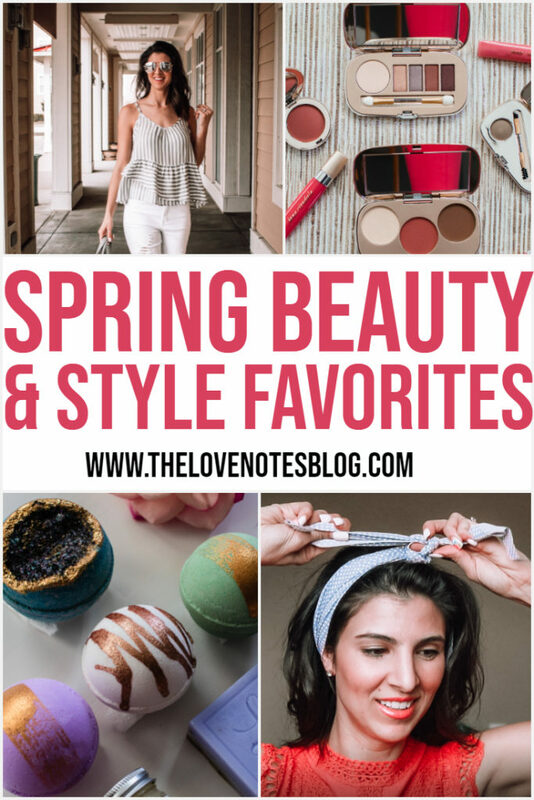 Thanks for stopping by to check out my Spring Beauty & Style Favorites– I love sharing my favorites in hopes that you will love them, too. If you try any of these, I’d love to hear about it!